She reportedly re-wore her wedding shoes for the event! 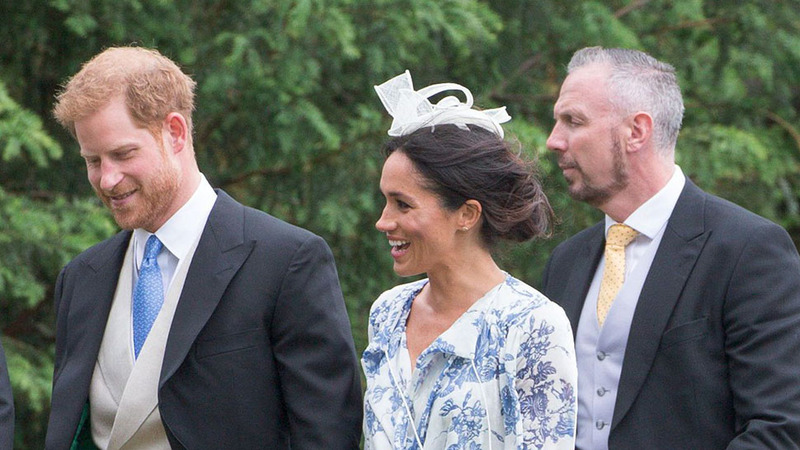 Over the weekend, Meghan Markle attended her first family wedding as a royal. 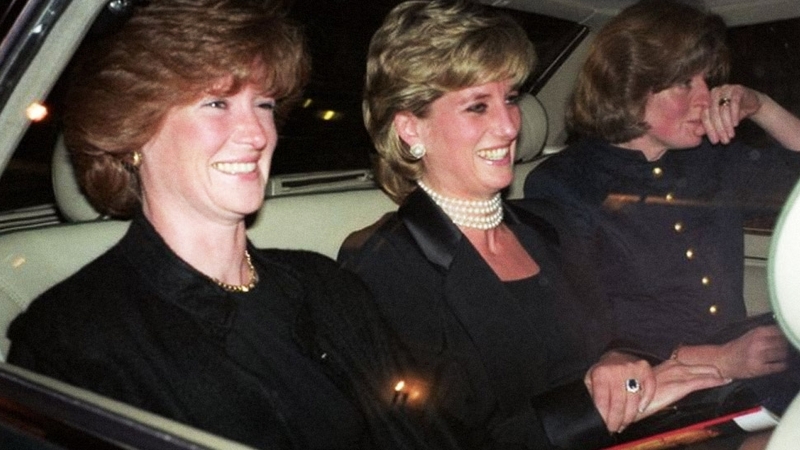 She and Prince Harry traveled to Stoke Rochford, Lincolnshire for the marriage of Princess Diana's niece Celia McCorquodale and George Woodhouse. 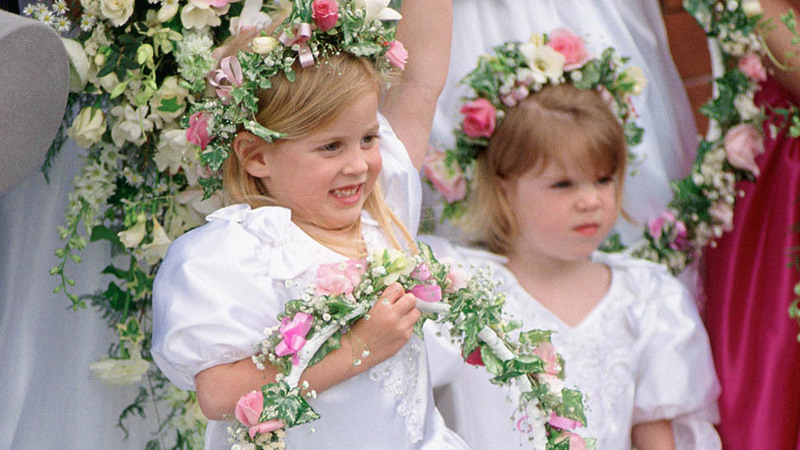 McCorquodale is the daughter of Princess Diana's older sister, Lady Sarah McCorquodale. 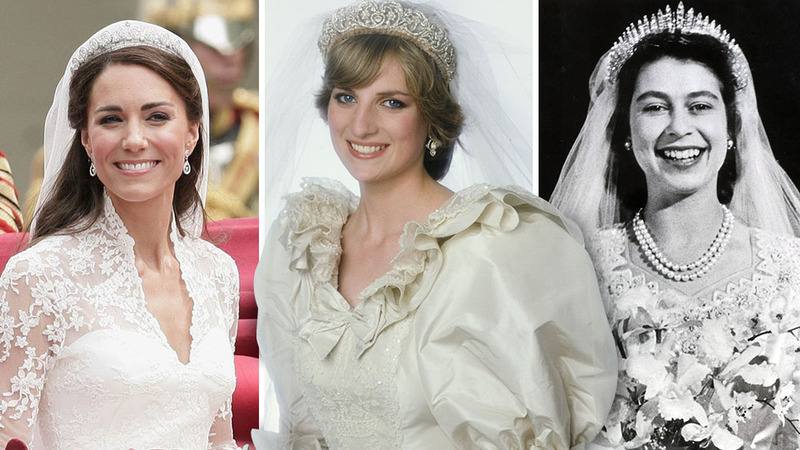 On her wedding day, Celia wore the Spencer tiara, which Diana also wore when she married Prince Charles. 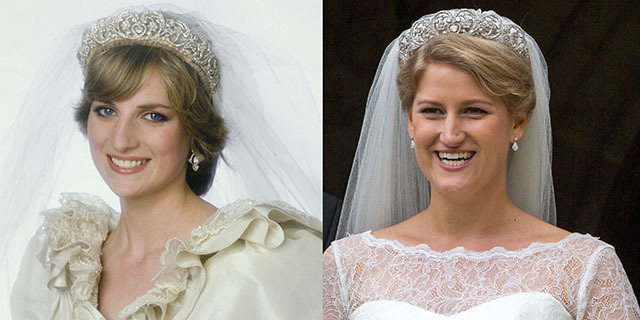 Princess Diana on her wedding day wearing the Spencer tiara (left) and her niece Celia (right) in the same tiara this weekend at her own wedding. 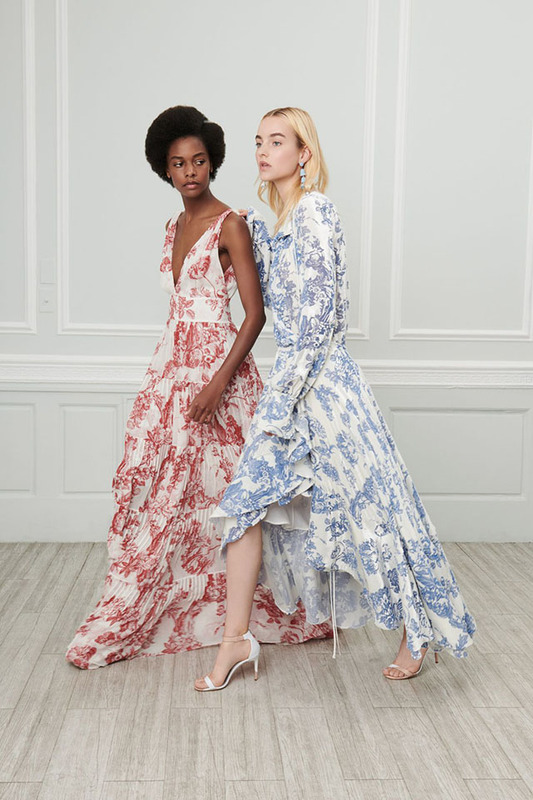 For the family celebration, Meghan stepped out in a blue-and-white patterned Oscar de la Renta gown. 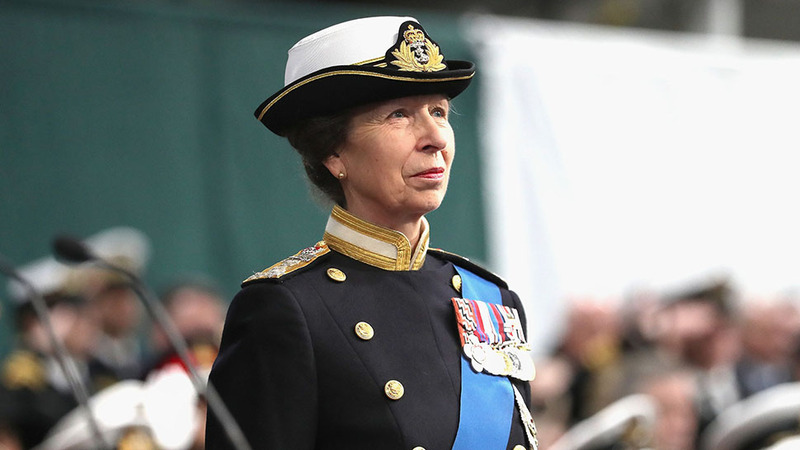 She paired the look with a white fascinator, a loose up-do, and stud earrings, and reportedly wore the shoes from her wedding reception! According to the Daily Mail, which also has additional pictures from the day, Meghan almost fell while walking into the venue, but "fortunately Prince Harry, 33, had a firm hold of his wife's hand and helped her steady herself within moments." Several of Harry's other cousins were in attendance at the wedding including Louis, Viscount Althorp and Lady Kitty Spencer. Spencer, who is a Dolce and Gabbana model, Instagrammed her look multiple times. The first photo, a re-gram from hat maker Philip Treacy, featured the caption," Thank you for my beautiful hat @philiptreacy, and of course my @dolcegabbana & @bulgariofficial families for my dress and jewels ???? #Repost@philiptreacy?? ?Lady @kitty.spencer yesterday." Thank you for my beautiful hat @philiptreacy, and of course my @dolcegabbana & @bulgariofficial families for my dress and jewels ???? #Repost @philiptreacy ??? Lady @kitty.spencer yesterday. And then she shared another a close-up of her hat with an emoji-filled caption, "????♥?????????."